“Drink Local”. I feel like I could easily slip into a soapbox rant on this one if I’m not careful, but hopefully those whose eyes are reading this post already know and appreciate the concept. Support your regional breweries. Take advantage and patron the beer establishments around you while you have the opportunity – if you don’t, they may not be around the next time you get the itch. 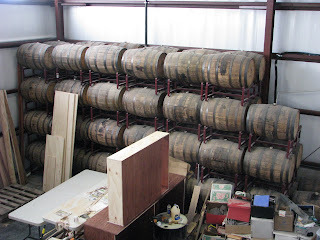 In the same vein of Tom’s prior visit to the brewery formerly known as Clipper City Brewing Co. , I recently had the opportunity to visit the brand new home of the Coastal Extreme Brewing Company (CEBC), makers of Newport Storm Beer and distillers of Thomas Tew Rum in Newport, RI. Newport Storm has been in Rhode Island since ’99 and has branded itself ‘RI’s only Microbrewery’ (which is true if the brewpubs are discounted). In the latter part of 2009, the CEBC closed the doors of its old brewing facility and prepared for its expansion into a newly constructed building that will house the brewery going forward. 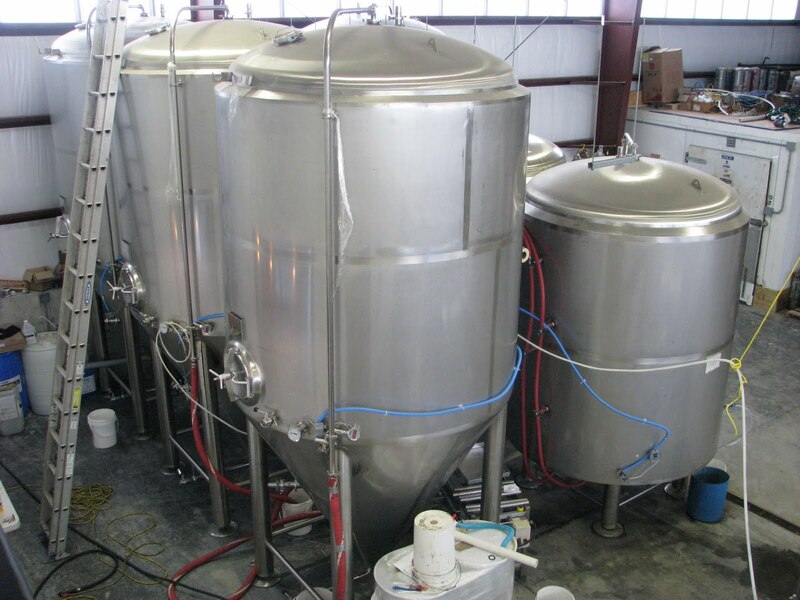 While construction and relocation were delayed for a few months due to a series of contractor disputes, the brewery is now in its ‘soft’ opening with beer being brewed on facility. CEBC decided to open its doors to the community while the finishing touches were still being made.The tasting room/visiting center itself is still a bit of a work-in-progress, with the stained hardwood bar installed but the carpeting, shelving, and displays still unassembled. Flights of beer or rum are available to visitors at a cost of $7 and $9 respectively (which includes the branded glassware). While a guided tour is only given once a day, the new building features an observation deck above the tasting room overlooking the entire brewery. Being open at all times the tasting room is open, the deck provides the public with a way to experience the whole facility without letting people run free on the brewery’s main floor. 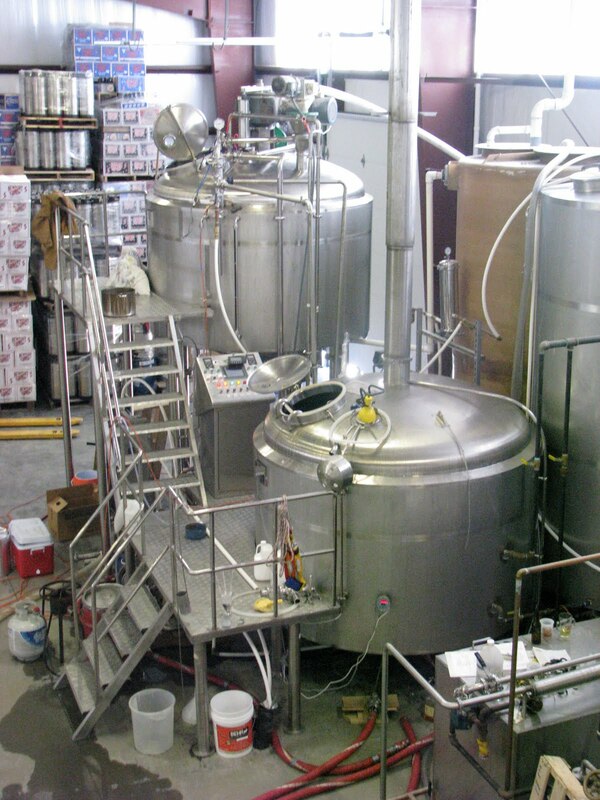 With the brewing operations active again onsite, the ECBC brewhouse is active 1-2 days a week to keep up with the current demand, leaving plenty of room for expansion. The oversized fermentors were chugging away during our visit. 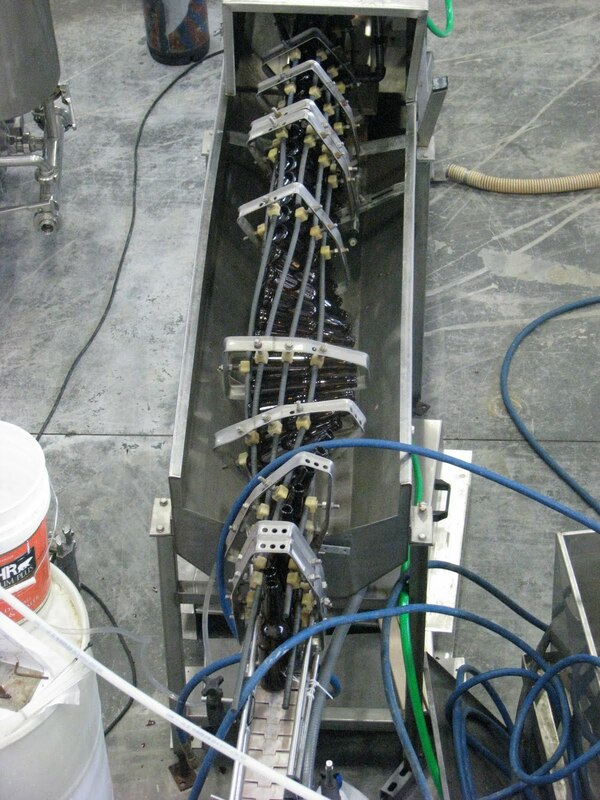 As part of Newport Storm’s expansion, the company was able to bring in a full bottling line onsite. 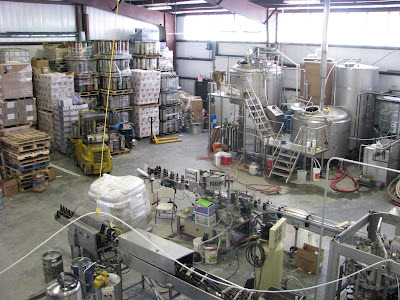 At their prior facility, only kegged beer was produced at the brewery, with all the Newport Storm bottles being brewed offsite by a contract brewery about 45 minutes away in Connecticut (at Cottrell Brewing Co., for those keeping score at home.) With the new warehouse facility complete, all the ‘Storm beer is produced under one roof. Bottled exiting the bottle washer heading toward the fillers. In addition to producing the line of Newport Storm beers, ECBC is also Rhode Island’s only micro-distillery producing Thomas Tew Rum. 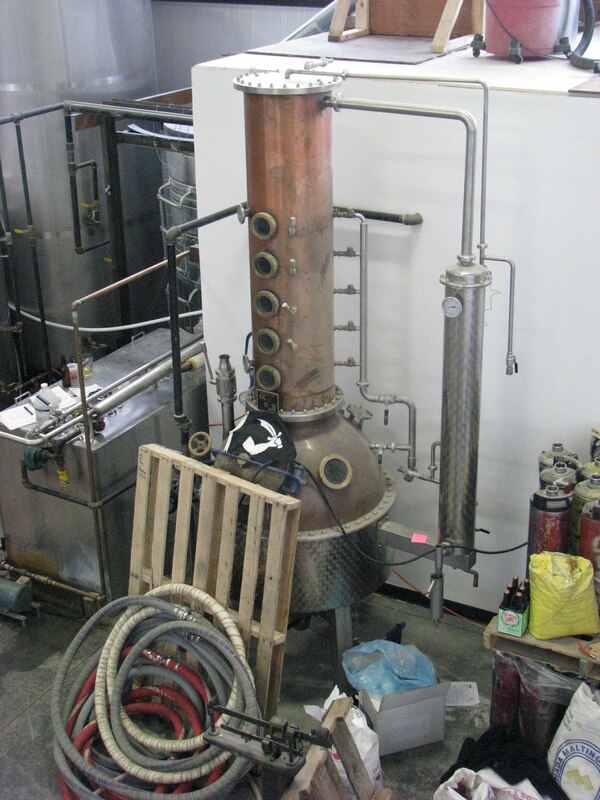 Interestingly enough, ECBC was the first company to receive a distillery license within the state in over 125 years. Taking its name from the 17th century “Rhode Island Pirate”, Thomas Tew Rum is a throwback to the golden years of the sugar trade. During this time, Newport, RI was considered the “rum capital of the world” with over 20 distilleries within the city proper. Using blackstrap molasses, ECBC’s Thomas Tew Rum is the result of two distillations, after which the liquor is aged in American oak barrels for 1 to 2 years. Thomas Tew Rum aging in the corner of the brewery, waiting for its day. If you’re a local New Englander or just happen to be in our section of the map, make the trip over to the new brewery and distillery. And if you reside in other parts of the globe, get out there and support your local brewing establishments instead. Poll: What Season Do You Homebrew The Most?